Mid-weight, hemmed golf towel. 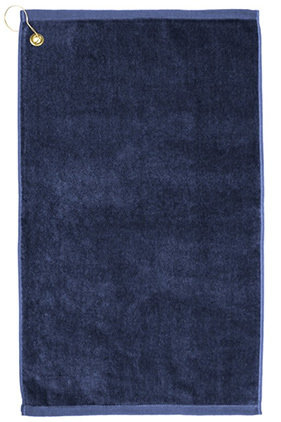 Great for promotions that require high perceived value towel at an affordable price. Upper left corner hook and grommet. Made of 100% cotton, terry velour fabric. 2.3 pounds per dozen.